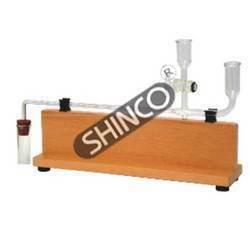 Our organization offers an impeccable range of Science Instruments. 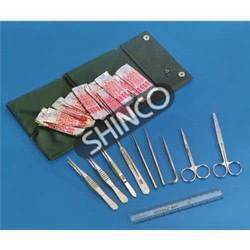 The offered range of products consists of Feeding Bottle, Fidding Bottel, Bone Shears Bonecutting Forceps, Microscope and many more. 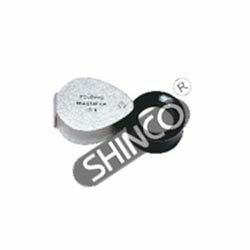 The entire range offered by our organization is manufactured with the help of our expert professionals using high quality raw material, obtained from the reliable vendors of the industry. Further, customers can avail our range in standard as well as customized solutions. 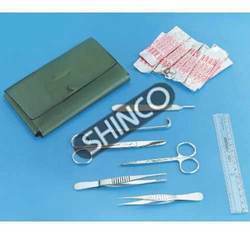 We have installed various latest machinery and tools to manufacture Basic Dissection Set. The offered range is precisely manufactured using high quality raw material that are obtained from the most certified vendors of the industry. The sincere professionals working with us dedicatedly manufacture these products at our state-of-the-art infrastructure premises. 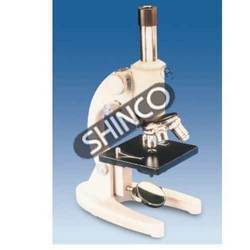 We hold the expertise to offer a range of Shinco Microscope. 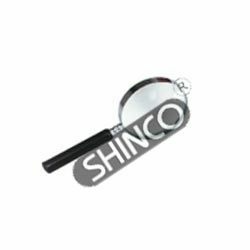 The offered range comes with total magnification of 30X along with reflective light capabilities that allows to view the exterior of 3-D specimens, printed matter and other ordinary objects. Our range has a prism illuminator that sends transmitted light through the stage allowing to view the internal structure of thinly sectioned specimens. 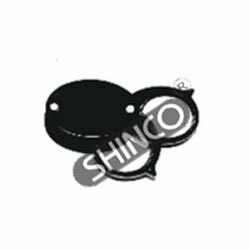 Backed by rich industry experience, we are engaged in offering an excellent range of Fidding Bottle. In order to use with the above vanimal cage, the offered range of products comes in the capacity of 250 mL, 1219-00. 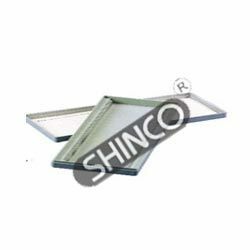 The high quality raw material used in the manufacturing process is obtained from the most certified vendors of the industry. Single piece moulded chamber. 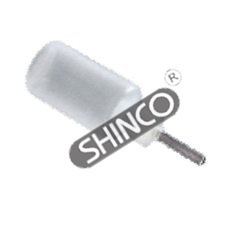 Pure Platinum electrode for better connectivity. Also provided are 2 casting trays with end dams and 2 dual sided well forming combs (6/10). Overall dimension of the chamber 18.5 x 9 x 7.5 cm. Designed for work in general biology. 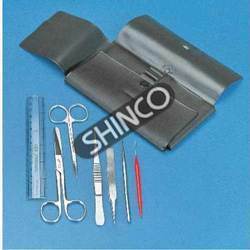 Made of stainless steel and consists of the following instruments in a folding PVC pouch. 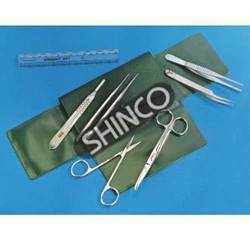 For more advanced dissections with broad selection of needles and forceps. For general dissection work. Integral handle made of forged stainless steel with a honed cutting blade. Handle is ground and satin finished. Overall length 150mm, cutting edge is 38mm long. sample, causing the organisms to move downwards through the mesh in a collecting container. 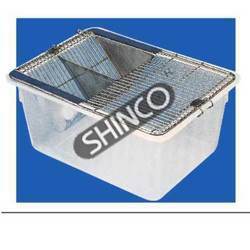 Supplied with three different mesh sieves. Supplied w/o the stand. 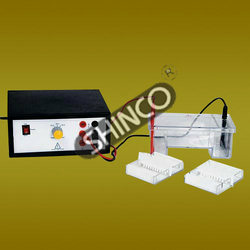 For demonstration of the transpiration and water absorption rates of cut shoot under various external conditions. Detachable flat form in two sizes. 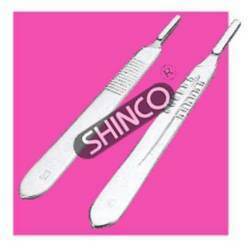 Used with replaceable scalpel blades. Made of stainless steel. Without blades. Slip lock design. 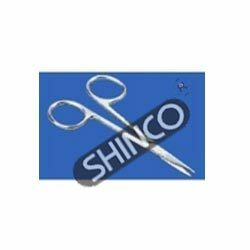 Backed by rich industry experience, we are engaged in offering an excellent range of Scissors, Dissecting, IRIS Curved. The quality products we are offering are available in the length of 115 mm and id ideal for fine dissection work. 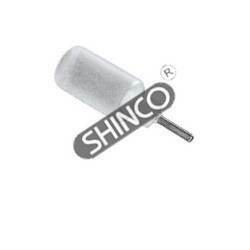 Manufactured and developed by making use of stainless steel with sharp and curved tips. 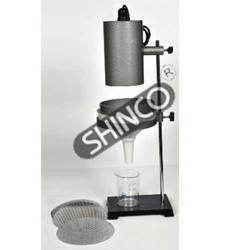 Our customers can further avail all our products as per the specific specifications provided by them. 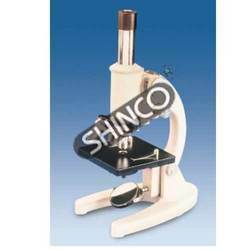 Backed by rich industry experience, we are engaged in offering an excellent range of Advance Student Microscope. These products are designed and developed for junior to high school level students as well as for the hobbyists. 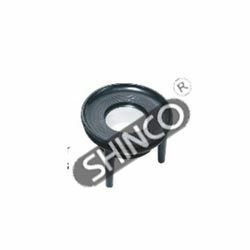 The products we are offering are comprised of a horseshoe type base, vertical monocular body inclinable through 90º and a metal stage 110 x 110 mm. With the help of our sophisticated in-house facilities, we have been able to offer an array of Student Microscope. 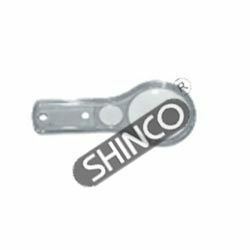 The products we are offering are manufactured in line with the international quality norms and standard using qualitative raw material and other essential components that are required for the manufacturing process. 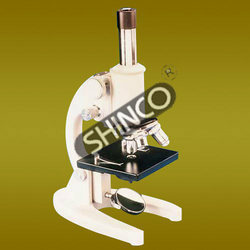 With the help of our skilled professionals, we are able to offer an array of Microscope. 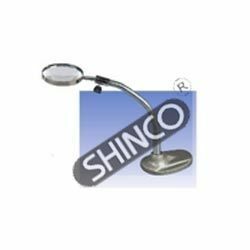 The offered range of products is comprised of a horseshoe type base that is vertical monocular body inclinable, which comes through 90° and a metal stage of 110 x 110 mm. 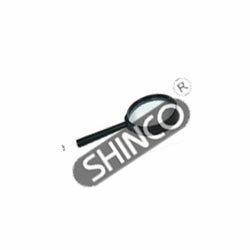 These quality-approved products is also examined by our quality experts on different parameters of quality. 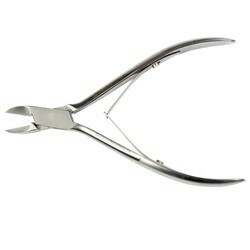 Our customers can buy from us a wide range of Bone Shears Bone cutting Forceps. 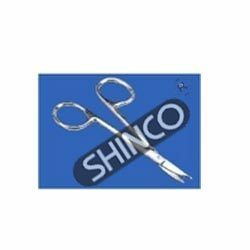 For speeding dissection work by cutting cartilage, chitin, bones and skull, our products are precisely made of stainless steel with employing latest & advanced tools & technology. The offered range is designed under the hard and fast compliance with the international quality standard and guidelines. With the aid of our vast manufacturing unit, we have been able to come up with a wide gamut of Feeding Bottle. These products are developed and made under the able guidance of our professionals in order to deliver flawless products to our customers premises. Our offered range is further quality examined by our quality experts to make sure the high efficiency of these products. For storing standard (I x w), 75 I w), 75x 25mm microscope slides in individually numbered grooves.For speeding dissection work by Made of ABS polymer index card for recording the titles. For fine dissection work. Made of stainless steel with two sharp point blades. 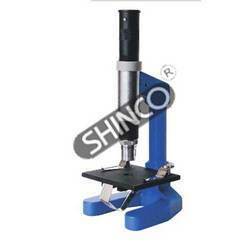 Suitable for biology laboratories because of its wider field and larger larger focal length. Comprised of a double convex glass x glass lens of diameter approximately 100mm, focal length 250 mm and magnification 2X, framed in a plated brass ring. with flexible gooseneck, fitted on a cast iron base. A 50mm diameter clear acrylic magnifier, with 3x and 6x magnification. Comprised of a pair of convex lenses, magnification 10X, mounted in a black plastic ring of diameter approximately 22mm. Folds completely in a metal frame. Overall length about 56mm when fully opened. Comprised of two convex lenses, each of which is mounted individually in black plastic rings of diameter approximately 30mm. Magnification is 10X when both lenses are used and 5X when single lens is used. Both the lenses fold compactly in a black plastic frame. Overall length about 65mm long when opened. For examining biological and geological specimens in field and laboratory. A polished optical lens is mounted in focal length. a plated metal rim which is threaded in a black plastic handle. Lens diameter Magnification Cat. No. For quickly cutting connective tissue and muscle. Made of stainless steel. One blunt and one sharp blade end. Length 125mm. For use on the laboratory table. 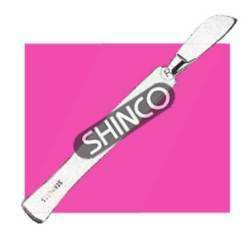 Suitable for elementary biology laboratory, dissections and for closer examination of specimens. Consists of a pair of plano-convex lenses mounted in a black plastic frame, metal legs and a ring. The aperture is 18mm and magnification is 10X. Focused by up and down screw movement. Undistorted field. For handling specimens. Made of stainless steel. Serrated and rounded tips for better grip. Corrugated sides. For precise dissection work. Made of stainless steel. With serrated tips, corrugated sides. To grasp and separate the skin and connective tissue on specimens during dissection. A deep “v” groove on one jaw accommodates a tooth on the other jaw (1 x 2 teeth). It is also called a rat-toothed forcep because of this unique design. With serrated sides. Made of stainless steel.